As positions become available, we will present them here. Please check back regularly. Thank you for your interest in becoming a part of our great team at the Johnson GEO CENTRE. Who can apply: Individuals between 15 and 30 years of age, who have been registered as full-time students in the previous academic year and intend to return to school on a full-time basis in the next academic year. Applicants must be legally entitled to work in Canada in accordance with provincial legislation and regulations. The Science Interpreter interacts with visitors of all ages, leading tours and interpretive programs within the Johnson GEO CENTRE and GEO-VISTA Park. Interpreters make a GEO CENTRE visit a memorable experience for the general public, by providing excellent visitor services, knowledge and learning opportunities in a fun, hands-on manner. Interact with GEO CENTRE visitors to enhance their experience. Provide excellent visitor services and interpretation to the general public including families, school and youth groups, tourists and birthday party groups. Work as a member of a team to deliver GEO CLASSES. Provide basic security and monitoring of the exhibit spaces. 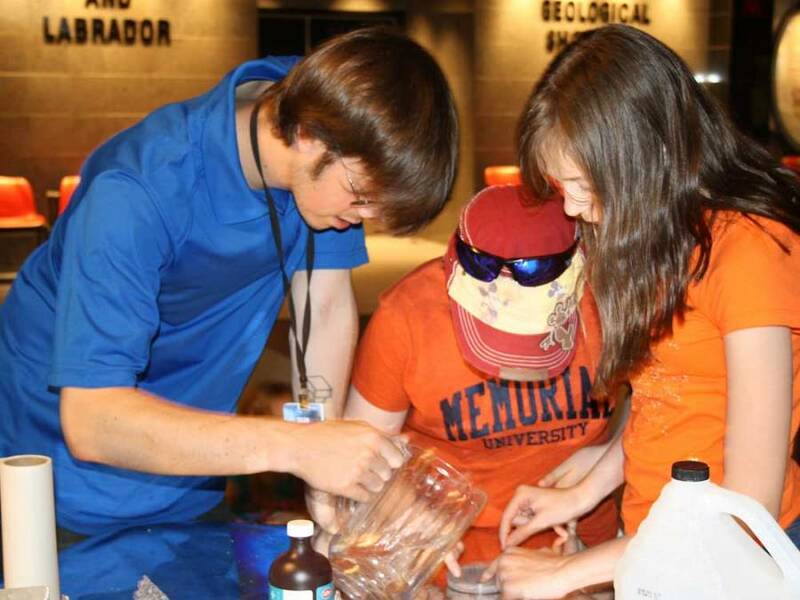 Prepare and present daily interpretative programs, tours and science demonstrations. Operate the Steele Earth & Space Theatre, showing 2D and 3D movies. Assist with the development of interpretation and exhibit materials, research and develop new public programs when required. Promote the GEO CENTRE at off-site locations. A Canadian citizen or permanent resident entitled to work in Canada, between 15 to 30 years of age, coming from and returning to full-time studies in the fall. Must be bilingual -fluently read, write and speak French. Basic knowledge of the geology and general science and/or cultural history of Newfoundland and Labrador. Able to work a variety of shifts. Preference given to candidates with a background in Science (Earth Science, Biology, Physical Geography), Arts (Archaeology, Anthropology), and/or Tourism. Applications must be received by 11:59pm, April 28th, 2019.